John Cook, president of Springfield Technical Community College, says he doesn’t play the card game cribbage. But that doesn’t mean the cribbage board given to him recently gathers dust sitting in a drawer or closet unused. In fact, it now occupies a prominent place on a desk already crowded with items that speak to his personal life and career in higher education. That’s because the elaborate board was crafted by students at Pathfinder Regional Vocational Technical High School in Palmer. It’s fashioned from metal — Cook isn’t sure exactly what the material is, although he suspects it’s aluminum — and it’s truly a one-off, complete with his name and title printed on it. As noted, Cook’s never used the gift for its intended purpose, but he’s found an even higher calling for it. Other steps include everything from taking young people on tours of area plants — and their parking lots (more on that later) — to working with the parents of those people to convince them that today’s manufacturing jobs are certainly not like those of a generation, or two, or three, ago. And there’s good reason for all the time and hard work put toward this cause. It’s all spelled out in the latest Workforce Development and Technology Report prepared as part of the Precision Manufacturing Regional Alliance Project, or PMRAP for short. Indeed, the numbers on pages 7 and 8 practically jump off the page. The chart titled ‘Workforce Indicators’ reveals that the 41 companies surveyed for this report project that, between new production hires and replacement of retiring employees, they’ll need 512 new workers this year. Extrapolate those figures out over the entire precision-manufacturing sector, and the need is 1,400 to 1,500, said Dave Cruise, president and CEO of the MassHire Hampden County Workforce Board, formerly the Regional Employment Board of Hampden County. 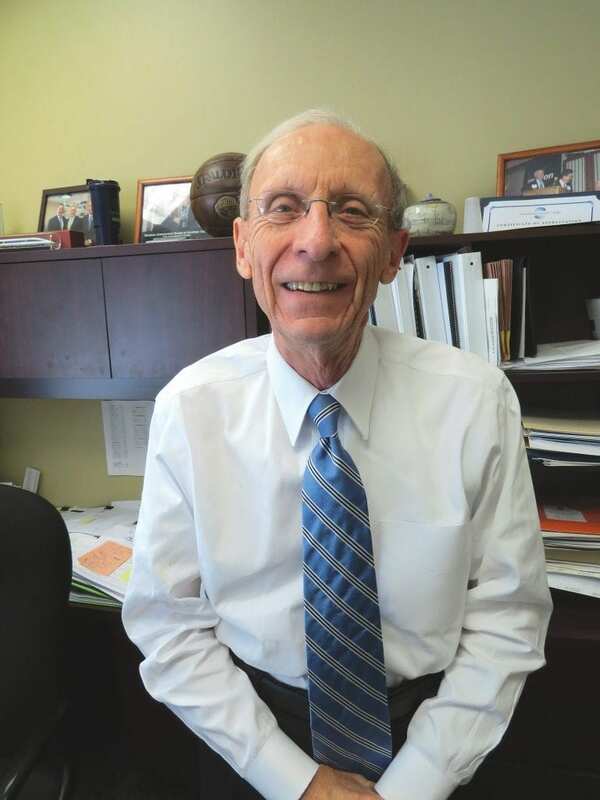 Meanwhile, the number of people graduating annually from programs at the region’s vocational high schools and STCC is closer to 300, he said, noting quickly, and with great emphasis, that not all of those graduates, especially at the high-school level, will go right into the workforce. Those numbers translate into a huge gap and a formidable challenge for this region and its precision-manufacturing industry, said Cruise, Cook, and others we spoke with, adding that additional capacity, and a lot of it, in the form of trained machinists, must somehow be created to keep these plants humming. But before finding the capacity (the expensive manufacturing programs) required to train would-be machinists, the region must create demand for those programs. Right now, there certainly isn’t enough, hence strategic initiatives involving everything from plant tours to Cook’s traveling cribbage board. 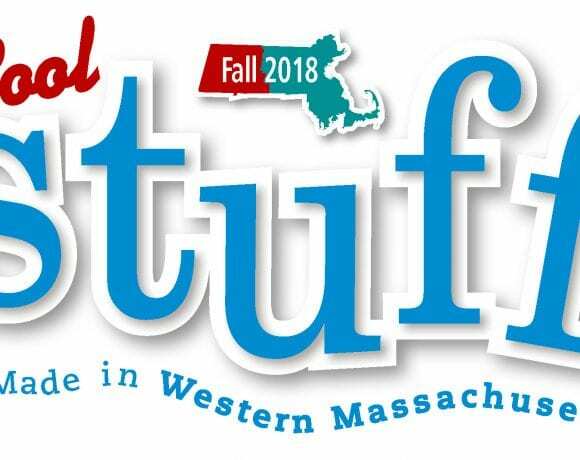 BusinessWest has now become an active player in this initiative with an aptly named special publication called Cool STUFF Made in Western Mass. It’s called that to not only confirm that there are a lot of intriguing products made in this region — from parts for the latest fighter jets to industry-leading hand dryers to specialty papers — but to grab the attention of area young people; Cool STUFF will be distributed at middle schools and high schools with tech programs, regional workforce development offices, state college career counseling offices, non-manufacturing employers, top manufacturing firms, BusinessWest subscribers, guidance counselors, community colleges, and employment offices. Sponsored by the Massachusetts Technology Collaborative, the Massachusetts Manufacturing Extension Partnership, Associated Industries of Massachusetts, and MassDevelopment, Cool STUFF will include a number of profiles of area companies. These profiles will list the products made, the customers served, and the markets these companies supply. But the most important details are the job opportunities, the benefits paid, and the thoughts of those working for these companies. As BusinessWest continues work on Cool STUFF, to be distributed later this fall (companies interested in purchasing profiles can still do so), it will use this edition of the magazine to set the table, if you will, by detailing the size and scope of the challenge facing this region when it comes to its manufacturing sector, and also highlighting many of the initiatives to address it. 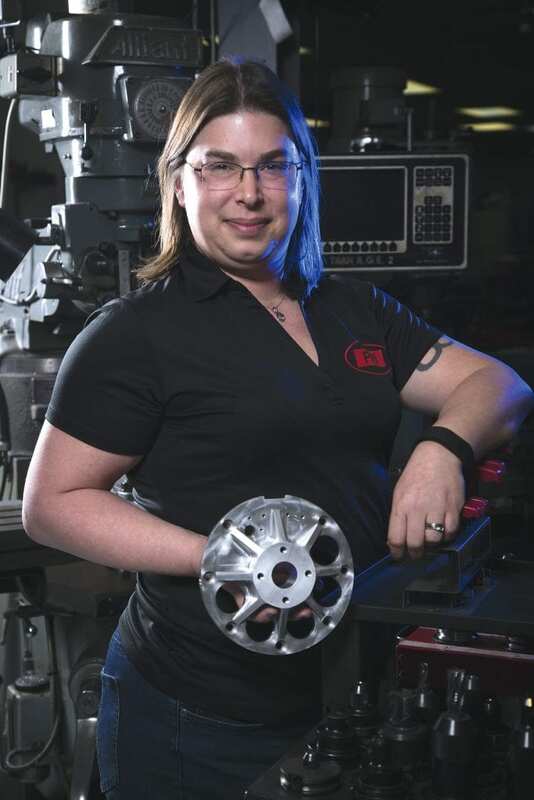 Kristen Carlson is working on the front lines of the manufacturing sector’s workforce challenge — in a number of capacities, first as president of the local NTMA chapter, which has about 60 members, but also as owner and president of Peerless Precision in Westfield, a maker of parts for the aerospace and defense industries. Kristin Carlson, owner of president of Peerless Precision, says area precision shops are very busy; the only thing holding them back is finding enough good help. She told BusinessWest that business is booming for Peerless and most other precision manufacturers in this region, and it’s likely to stay that way for the foreseeable future — a fact lost on many not familiar with the high quality of work carried out at area shops and this region’s reputation across the country and around the world as a precision hub. “I could double in size if I had the workers,” she told BusinessWest, adding that there are many in this sector who could likely say the same thing. The challenge of inspiring more individuals to become interested in manufacturing is not exactly a recent phenomenon in this region; it’s been ongoing for some time. However, the problem has become more acute as shops continue to add work and also as the Baby Boom generation moves into retirement. The problem becomes one of supply and demand. There is considerable demand, but simply not enough supply. In most matters involving this equation, supply usually catches up with demand, but this situation is different in many respects. Indeed, there are many impediments to creating supply, starting with perceptions (or misperceptions, as the case may be) about this sector and lingering fears that jobs that might be there today won’t be there tomorrow. These sentiments are fueled by memories of those with the Boomer generation, who saw large employers such as the Springfield Armory, American Bosch, Uniroyal, Diamond Match, Digital Equipment Corp., Westinghouse, and others disappear from the landscape. Meanwhile, another challenge is creating capacity. Manufacturing programs are expensive, said Rick Sullivan, president and CEO of the Economic Development Council (EDC) of Western Mass., adding that it’s also difficult to find faculty for such facilities because potential educators can make more money working in the field than they can in the classroom. Cook, whose school has several manufacturing programs and is the region’s clear leader in supplying workers for the industry, said that, despite the costs and challenges, additional capacity can and will be created — if (and this is a big if) demand for such programs grows and becomes steady. That’s why Carlson and others say that manufacturers must sell this sector and its employment opportunities to not only the region’s young people, but also their parents. Meanwhile, young people are not the only targets. Indeed, other constituencies include those who are unemployed and underemployed, those looking for new careers, and the region’s large and still-growing African-American and Latino populations. Across all those subgroups, women have become a focal point, in part because they — and, again, their parents — have not looked upon manufacturing as a viable career option when, in fact, it is just that. It’s called the Twisters Café. That’s the name given to a ’50s-style diner at Sanderson MacLeod in Palmer, a maker of twisted wire brushes for the cosmetic, healthcare, handgun, and other markets. The additions are part of ongoing efforts to make the workplace more, well, livable and attractive to employees and potential employees. Those sentiments are yet another indication of how manufacturing has changed in recent years. And making people aware of not just perks like the Twisters Café, but also, and more importantly, the jobs and careers available in manufacturing today, is the broad, multi-faceted mission of a growing group of individuals, agencies, and companies. This constituency includes the EDC, the various MassHire agencies, the vocational high schools and STCC, the NTMA, and individual manufacturers. Shop owners will go into the schools themselves to talk about what they do and how, said Sullivan, and the shops will host tours of students, taking them onto the floor, and later into the parking lot. And such initiatives are starting to generate results on some levels, said Sullivan, noting that many of the vocational schools now have waiting lists, especially for their manufacturing programs — something that didn’t exist a decade ago or even five years ago, when such schools were largely viewed as the best option for students not suited for a typical college-bound curriculum. But those numbers on pages 7 and 8 of the PMRAP report show there is still a huge gap between demand and the current supply, and therefore there is still considerable work to be done, said Cruise, noting that the goal moving forward is to reach more people overall, more young people, and young people at an earlier age. Cook agreed, and to get his point across, he brought out another item he’s collected — a fidget spinner made by a young student during a summer STEM program staged at the STCC campus. 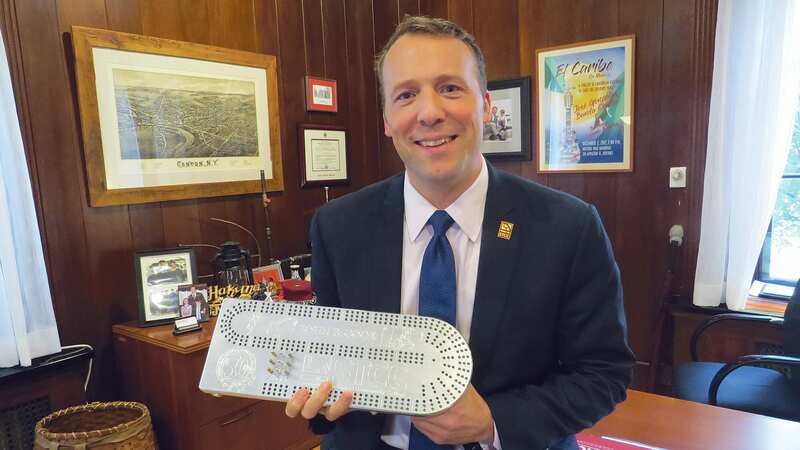 Cook does a lot of promotional work for the manufacturing sector — and STCC’s programs — himself, and his cribbage board is very often part of the presentation. Cool STUFF will hopefully act like that cribbage board in that young people can see the products many area companies are making, and, in the snapshot profiles of these company’s employees, they can maybe see themselves in a few years. Bringing such facts, and numbers, to life is an ongoing priority for the region, and Cool STUFF will become part of the answer moving forward, as will John Cook’s cribbage board, plant parking-lot tours, and much more. The stakes are high, but so is the number of opportunities — for potential job holders, the companies that will employ them, and the region as a whole. People need to be made aware of these opportunities, said all those we spoke with, and, more importantly, inspired to reach for them. 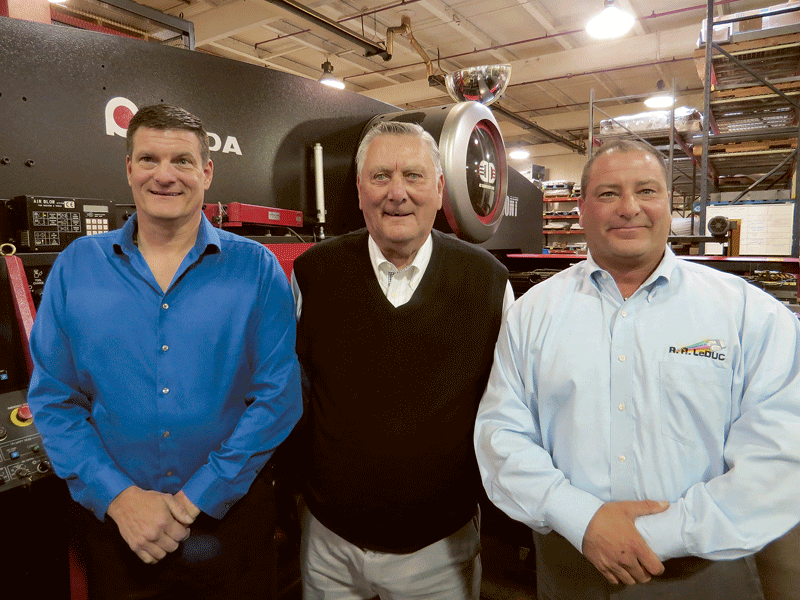 Workforce issues have long been a stern challenge for this region’s manufacturers, and especially its precision machine shops. Companies have long struggled to not only gain the attention of young people and their parents, but also convince them that manufacturing has a solid future in this region and is something they should be part of. Like we said, that’s nothing new, nor are many forms of response to this problem, everything from bringing students on tours of plants (and their parking lots so young people can see what their solid wages can buy) to improving salaries and benefits, to plant owners going to area schools and making students aware of what they make, how, and why they should consider becoming part of that team. But this problem is reaching what might be called a critical stage. Indeed, a recent survey of about 40 area precision manufacturers revealed that, at the rate they’re growing — and the rate machinists currently on the floor are retiring — they will need to hire more than 500 over the next few years. Extrapolate that number over the entire sector, and the need is roughly three times that number. Meanwhile, over that same period, the region’s technical and vocational high schools and Springfield Technical Community College will graduate only about 300 people from their manufacturing programs. This is a problem not without real consequences. Area machine shops are very busy at the moment, especially with aerospace, defense, medical devices, and other work, and projections are that things will stay hot for the foreseeable future. Many companies say they have the potential to grow, but what’s holding them back is finding enough talented people. As the story explains, BusinessWest is now taking an active role in work to find a lasting solution to this problem with a new publication called Cool STUFF Made in Western Mass. That name itself is a nod to the specific target audience for this publication — young people, as in students in high school and even (make that especially) middle school. Many of them don’t know about the many cool things made in this region — the list includes everything from golf balls to the paper for the Super Bowl program; from parts for attack helicopters and night-vision goggles to components for artificial limbs. And they also don’t know that the jobs making all these things are those proverbial good jobs with good wages and benefits, the kind of wages and benefits that can lead to a comfortable lifestyle, especially in an affordable region like Western Mass. Cool STUFF is intended to help make them aware. It will include profiles of many area companies, complete with the thoughts of young people now working for them, individuals who were in high school only a few years ago themselves. It will also include many facts, figures, charts, and graphs designed to bring home the point that manufacturing is a solid option and a solid career. Sponsored by the Massachusetts Technology Collaborative, the Massachusetts Manufacturing Extension Partnership, Associated Industries of Massachusetts, and MassDevelopment, Cool STUFF will be distributed at area high schools with tech programs, middle schools, workforce-development offices, area employers and other locations, and BusinessWest subscribers. It is intended to inform, but also to inspire the next generation of manufacturing employees. With their help, a sector that has a long and proud past can also have a secure future. When she started her law career with a firm in Springfield, Amy Royal didn’t consider herself an entrepreneur. But that quality emerged quickly, and she would go on to start her own firm. 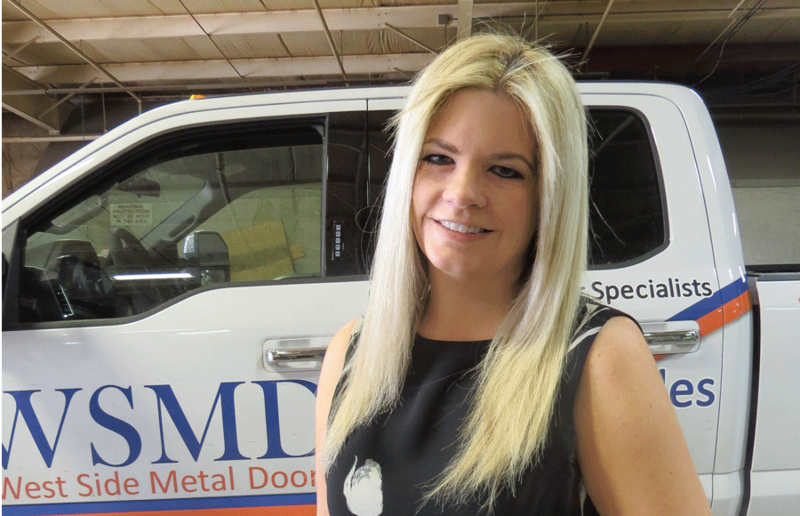 She soon realized, though, that she was a actually a serial entrepreneur with an appetite for developing and growing companies, the latest of which is a door manufacturer in Ludlow. Amy Royal says she was given the small ‘Lenox’ sign, complete with that recognizable wolf logo, by officials at that East Longmeadow-based manufacturer soon after it became the first official client of the law firm that bore her last name. And for years, it was prominently displayed on a wall in her office in Northampton, much like that ceremonial ‘first dollar’ you see under glass or in a frame at small businesses across the region. Well, there are many elements that go into that answer, and one of them is that Lenox sign. Sort of. That iconic Western Mass. company is just one of many manufacturers that have become clients of Royal, P.C., an employment-law firm. And over time, while representing many of them, Royal developed more than insight into that sector and much more than a passing interest in someday working within it. Indeed, when she began a search for a small company to buy a few years ago, manufacturing morphed from one of several sectors being considered to the preferred sector. As she carried out her search, Royal told BusinessWest, the focus was on acquiring an established company, but one with considerable upside potential. And WSMD, as it’s called, certainly fits that description. Launched in Holyoke in 1958, it has a diverse portfolio of products for commercial customers — diverse enough for Royal to make rebranding a top priority because the ‘MD’ in WSMD doesn’t really work anymore and hasn’t for a while now — and a lengthy list of clients as well. Indeed, recent deliveries have been made to the Hampden County Sheriff’s Office — the county correctional facility is only a few blocks away — as well as Holyoke Medical Center, the Ludlow Police Department, a casino in Las Vegas, and Wrigley Field in Chicago, among many others. “We make a lot more than metal doors,” said Royal, also listing custom wooden doors, door frames, distribution of door hardware, and other products, especially tin-clad doors, typically seen in warehouses but now gaining traction in a variety of locations as a retro look. As evidence, Royal gathered up her phone and scrolled to pictures of tin-clad doors the company recently supplied to an art studio in Hollywood and a condominium tower in Boston. “They look really cool and have a lot of ‘wow’ to them,” she pointed out. Getting back to that upside potential she saw, Royal said that, unlike her predecessor, an owner who did a little bit of everything for this company, she will focus her efforts on business development, relationship building, and, overall, positioning WSMD (for however long that acronym’s still in use) for continued growth and that proverbial next level. Amy Royal, seen here with many of the team members at WSMD, says she was drawn by the company’s rich history and strong growth potential. Borrowing that increasingly popular phrase, she said she’s focused on working on the company, not in it. As she goes about that assignment, she will borrow at least few pages from the script she wrote with Royal, P.C., which she is still a big part of, even if she and her Lenox sign now consider Ludlow home. One page in particular involves becoming a certified woman-owned company, a designation that has opened a number of doors (no pun intended) for the law firm, and one she believes can do the same for WSMD. Elaborating, she said Royal, P.C. is a member of the National Society of Minority and Women Owned Law Firms, an organization that forges relationships with large corporations that want to do business with such firms. Corporations like the Macy’s department-store chain, which became a client of the Royal firm just last month. Institutional clients of that ilk also need metal doors — and wooden doors and tin-clad doors — and Royal’s goal moving forward is to forge such relationships and take the WSMD brand to new heights. For this issue and its focus on manufacturing, BusinessWest talked with Royal about her new venture and how and why she walked through that particular door. Getting back to that question of why Royal acquired WSMD, as noted there are many components to that answer. Perhaps the main one is Royal’s realization that she is not merely an entrepreneur — something she really didn’t believe she was when she started practicing law with the Springfield-based firm Skoler, Abbott & Presser in the 1990s — but a serial entrepreneur. “I sort of caught the bug of developing and building businesses after starting the law firm,” she told BusinessWest. “I knew that, even though I’ve had a lot of different business ideas over the years, I was looking for a company that had an existing structure and wouldn’t have to be built entirely from the ground up, like I did with the law firm. Royal said she started her search for a company to buy probably two years ago, and approached that exercise with patience, an open mind, and a determination to find the proper fit. She looked at everything from a spice-making outfit in Western Mass. (she didn’t identify which one) to a small cruise-ship line operating out of Boston (again, no specifics). But mostly, she looked at manufacturers, again because she liked that environment and understood a good deal about how such ventures operate. WSMD came onto her radar screen because it was listed for sale. She was working with an area broker on her search, but essentially found WSMD on her own. And what she found was a solid enterprise and brand with its owner looking to retire — a scenario being played out all across the region within companies in every sector as business-owning Baby Boomers become sexagenarians and septuagenarians. She started looking at WSMD in late 2015, and kept on looking, undertaking that proverbial deep dive to determine if the company had the growth potential she desired. There will be many aspects to doing all that at WSMD, including that aforementioned rebranding effort. Also on her to-do list is obtaining status as a woman-owned manufacturing business, a process already underway. “That will be a huge lift for us,” she said, adding that the company’s application is currently being reviewed, and certification may come in the next few months. “There is a lot of competition in this field, so I do think the certification will help. And by ‘next level,’ she meant more partnerships and opportunities with institutional clients, again similar to what’s she done at the law firm — opportunities that will hopefully enable her to grow sales and the workforce, currently at nine. Royal told BusinessWest that she’s still involved with her law firm, obviously, and on a number of levels. But when she leaves her home in Deerfield now, she keeps going past that exit off I-91 that spills onto downtown Northampton and goes another 20 miles down the interstate. Like her Lenox sign, she’s taken up residence in a new office, this one just off a manufacturing floor, not a conference room filled lined with law books. But as disparate as those settings may be, they have many things in common, said Royal, adding that, instead of building a strong case for her clients, she’ll now be building one for her doors. And to borrow a phrase sometimes used in law, this will be — wait for it — an open-and-shut case. Ronald J. Grandbois v. Bailey J. Jones and Alert Ambulance Service Inc.
Gregory Heffernan v. Automatic Equipment Manufacturing Co. d/b/a Blue Ox, Diamond RV Centre Inc., and Keller Marine Service Inc.
Country Bank for Savings v. Big Y Foods Inc.
AMHERST — The winning flavor in this year’s UMass Amherst student ice-cream competition is chili chocolate chip, as selected by judges in the fourth annual food-science event held on campus April 30. It will become the latest UMass student-created ice cream produced by Maple Valley Creamery of Hadley over the coming weeks, said owner Bruce Jenks. Jenks said a new feature in this year’s competition, the use of Equal Exchange ingredients in the student ice creams, is a valuable marketing point and “very cool.” Equal Exchange, which provided samples to teams throughout the semester, sources ingredients from small-scale farmers around the world and supports their local communities. The three other entries in this spring’s competition were a butternut squash flavor with lemon zest, ginger, turmeric, and semi-sweet chocolate bits; a chocolate banana graham-cracker flavor; and a strawberry-basil flavor with dark chocolate pieces. The strawberry-basil, dubbed ‘summer blush’ by its creators, won the audience’s vote for best flavor, and Jenks said he may make a seasonal batch of it in the summer. Members of the winning chili chocolate chip team are Marina Gela, Gina Grimaldi, Rachael Montigny, Joshua Liao, Erica Snyder, and Jozxelle Tongson. In their presentation, they said their flavor, which uses a spicy Mexican chocolate mix from Equal Exchange, plus cinnamon, chili mixture, and churro extract, matches a recent trend in consumer acceptability by using authentic ethnic foods sourced from small farms while meeting the standards of a premium ice cream. The 24 students in four teams developed the new flavors for their senior capstone project in Assistant Professor Maria Corradini’s food processing class and lab. Their creations must stay under a price-per-pint cost limit while maximizing taste, aroma and texture. The students also identify sources of food allergens and make sure their formulations comply with ingredient-specific food-safety regulations, clean manufacturing standards, and natural-ingredient rules. Immerman is an accomplished leader and experienced startup veteran with an integrated background in digital, social, traditional, and account-based marketing, growth strategies, and business development. After graduating from Wesleyan University with a double major in psychology and music, he spent his early career working on Madison Avenue at global and boutique marketing firms to help craft successful digital-marketing strategies for brands like Adidas, Reebok, H&R Block, and Starbucks. The youngest member of the Forbes Communications Council, Immerman is now director of Marketing for MachineMetrics, and has quickly become an industry expert in digital manufacturing transformation and industrial IoT applications. He currently lives in Northampton with his wife, Jessica Dupuis (a 40 Under Forty honoree in 2017), and their two loving, frisky cats. Who has been your best mentor, and why? After I outgrew my first career aspiration of becoming the next Superman, I decided I wanted to be a lawyer like my father. He took great pride in helping people when they needed someone to stand up for them. In retrospect, I guess it was a logical next step from my initial superhero ambitions. He was not only my idol, but my inspiration, and I wouldn’t be the man I am today without his mentorship. How do you define success? Success is a satisfaction with how one answers the following questions: how happy am I with the person I’ve become, the efforts I’ve shared with the world, and the impact I’ve had on others? Thus, success is peace of mind, a self-satisfaction in knowing that you did everything you could do to become the best person you are capable of becoming. What four words best describe you? Persistent, honest, loving, leader. What are you passionate about? I’m most passionate about people. More than anything else, I love human interaction, communication, and connection. From the profession I work in to the friends I keep to the technologies I’ve built, it all comes from a desire to bring people together and connect us in some way. It’s what drives me and what I’m most dedicated to. What will work colleagues say at your funeral? I’ve actually been waiting for someone to ask me this, and I prefer to approach it as my ideal tombstone quote instead. Option 1: “It is not for me to judge another man’s life. I must judge, I must choose, I must spurn, purely for myself. For myself, alone.” —Herman Hesse, Siddhartha. Option 2: “He left this world as he came into it: terrified that there wouldn’t be enough food.” —Me. I like Option 2. EAST LONGMEADOW — Griffin Staffing Network, a certified woman- and minority-owned business, has undergone a company rebrand to ManeHire and unveiled its new logo, tagline — “connecting great companies with great talent” — and website, manehire.com, to support its expansion from a local boutique staffing agency to a full-service regional staffing agency serving the Massachusetts, Connecticut, New York, and Washington, D.C. markets. Since 2013, Griffin Staffing Network has served a wide-range of local and regional clients operating in industries such as healthcare, financial services, insurance, manufacturing, and nonprofit, filling roles from entry-level to C-suite and everything in between. Democracy Action Inc., 48 North Pleasant St., Suite 304, Amherst, MA 01002. Ben Clements, 256 Park St., Newton, MA 02458. Work to advocate progressive stances on civil rights and liberties, social and economic justice, sensible foreign policy, and sustainable environmental policy. Czar Industries Inc., 1981 Memorial Dr., #256, Chicopee, MA 01020. Curtis P. Duval, Same. Metal door manufacturing. Casa De Restauracion Nuevo Pacto, 384 High St., Third Floor, Holyoke, MA 01040. Luz Merari Torres, 26 Tracy St., Springfield, MA 01104. Restaurant. Aquatic Avengers Inc., 45 French Dr., Palmer, MA 01069. Corey Lomas, Same. Swim coaching. Bill White Insurance Agency Inc., 82 Wendell Ave., Suite 100, Pittsfield, MA 01201. William White, 710 Rimpau Ave., Suite 203, Corona, CA92879. Insurance producer. Colby’s Path to The Cure; Hope. Love. Cure. Inc., 35 Palm St., Springfield, MA 01108. Colette Proctor, 33 Palm St., Springfield, MA 01108. Raising awareness and supporting research to cure synovial sarcoma. Crowned with Excellence Inc., 1655 Main St., Suite 302, Springfield, MA 01103. Merlly D. Ortiz, 52 Casino Ave., Chicopee, MA 01013. To foster a holistic approach of healing, transformation and empowerment of woman. Crowned with excellence believes through empowerment by education, integrating wellness to the body, mind and spirit. Aroma One Inc., 935 Riverdale St., Suite F105-107, West Springfield, MA 01089. Xian-Ming Zheng, same. Restaurant. Buscoe Inc., 425 Union St., West Springfield, MA 01089. Elmo Coe, Same. Bus transportation. Carolina Express Tours Inc., 425 Union St., West Springfield, MA 01089. Rheuben Herbert, same. Charter bus company. Chrzan Founder Holdings Inc., 143 Doty Circle, West Springfield, MA 01089. Jan Chrzan, Same. Shipping and Delivery Service.